Welcome to Women’s and Gender Studies, at the University of Miami. I am the Director of the program. I am an associate professor of Political Science, and my research focuses on the politics and policies of gender and social equity around the world, with a focus on Latin America. 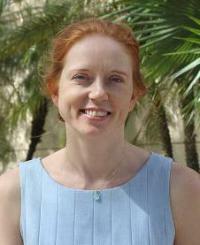 To learn more about my research, go to https://people.miami.edu/profile/m.blofield@miami.edu. Women’s and Gender Studies is an inter-disciplinary program, and we offer a major in WGS, and a minor in both WGS and LGBTQ Studies. We also offer a variety of cognates, including Introduction to WGS/Introduction to LGBTQ Studies. Aside from our core courses, our course offerings span over 12 departments. We also hold monthly lunch colloquia that are open to everyone in the UM community. The colloquia feature research or creative projects that UM faculty and students are working on. To find out more about our program or events, send me an email at m.blofield@miami.edu. 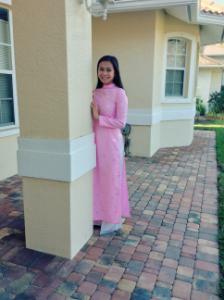 Catherine Huynh is currently a junior at UM majoring in Microbiology & Immunology and minoring in Music, Sociology, Chemistry, and Japanese. She is the Co-President/Vice President of the National Organization for Women at UM, and is involved in SpectrUM, the campus's undergraduate LGBTQ organization.She also interns at the Women's Fund Miami-Dade. She is Vietamese and studies five other languages and plays a total of five instruments, with piano being her best. She is currently doing research in Cancer Biology involving oxidative stress at the Miller School of Medicine in Dr. Priyamvada Rai's lab.‌‌ She intends to pursue an MD/PhD with the utlimate goal of committing to academia after graduating.